Home > Contents > How do I delete forum posts? 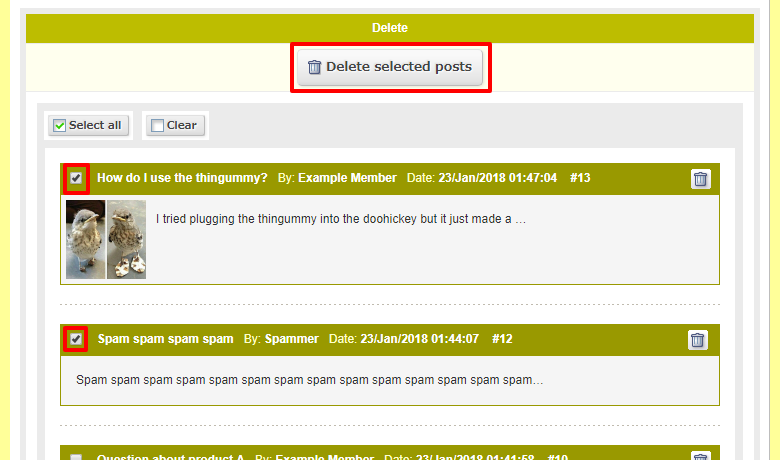 Q.How do I delete forum posts? To delete posts on the forum, navigate to Contents → Forum. Click on the (Delete) button for an individual post to delete that post. Alternatively, to delete multiple posts, select these posts and click the (Delete selected posts) button.